Add affordable luxury to your bathroom and change the way you shower with the GROHE New Tempesta Cosmopolitan 100 shower rail set. 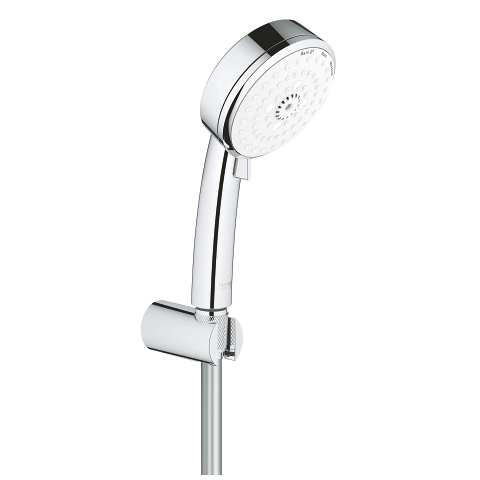 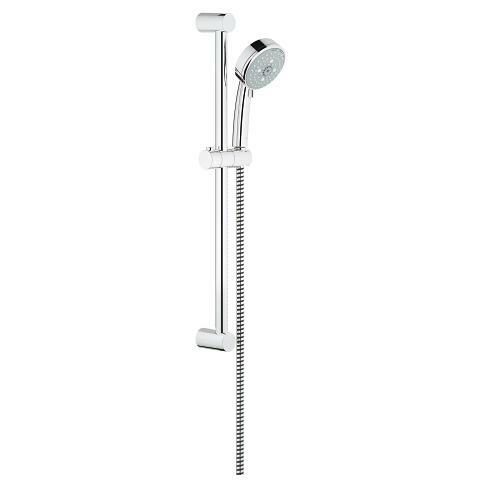 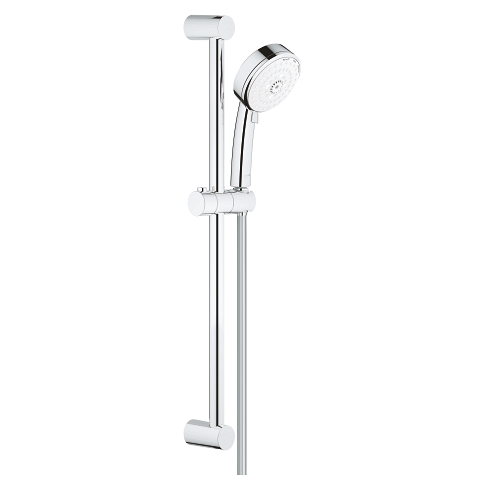 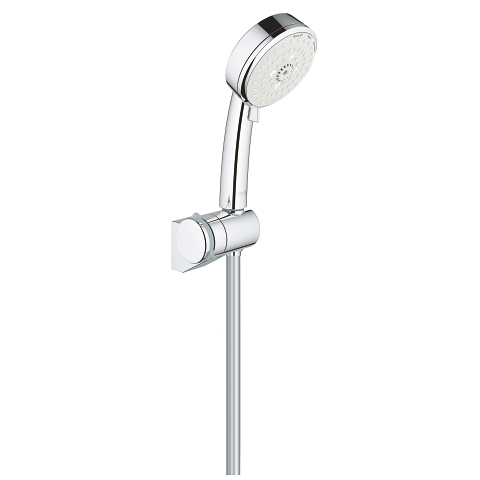 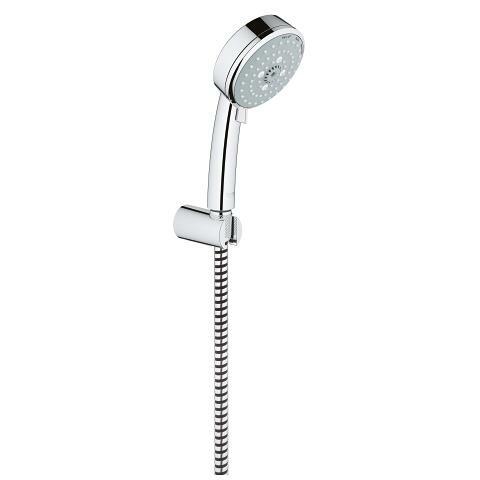 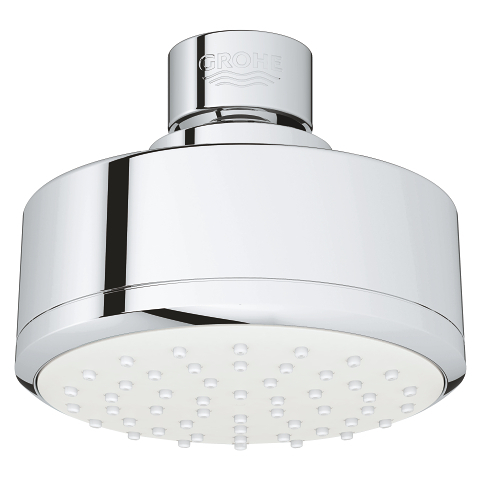 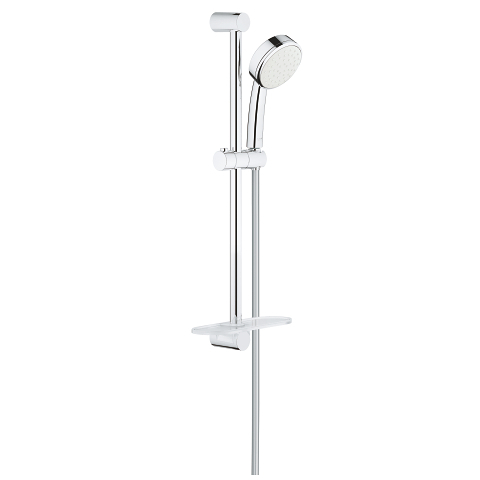 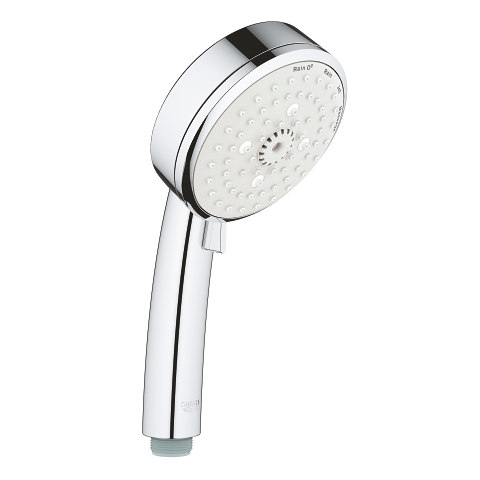 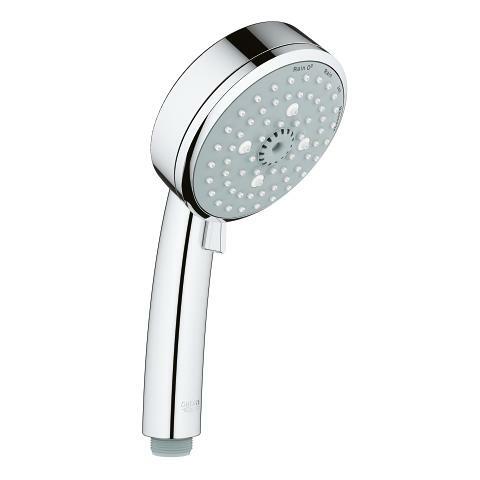 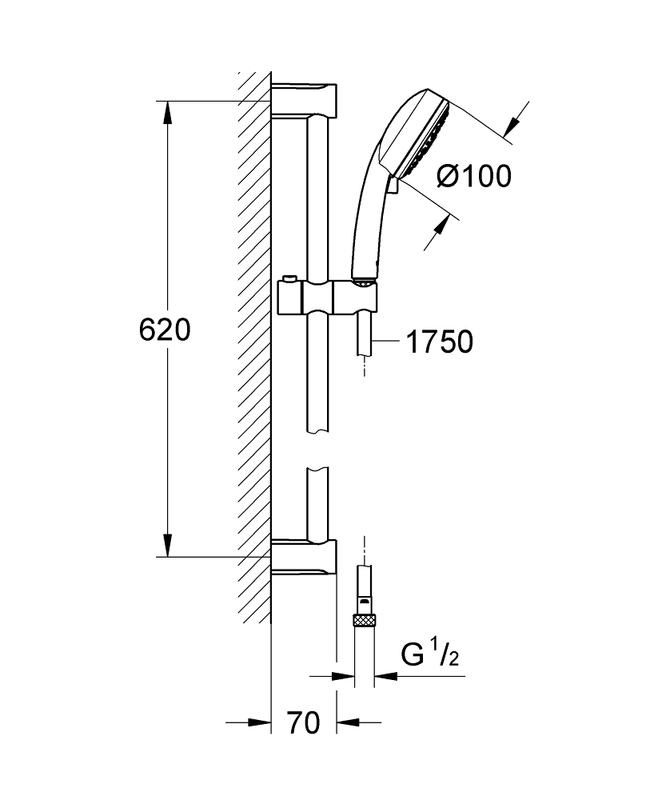 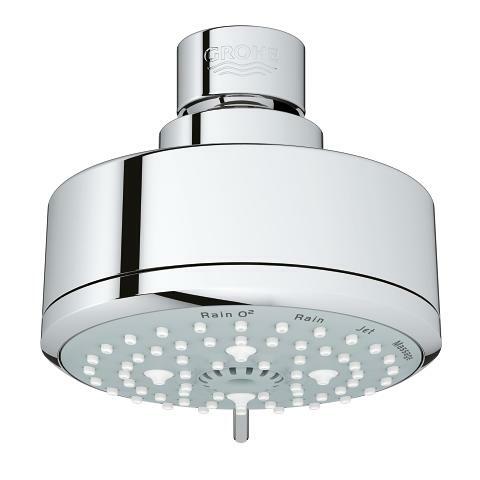 The stylish kit contains a hand shower with a white 100mm spray plate, a 600mm shower rail and a 1750mm hose. 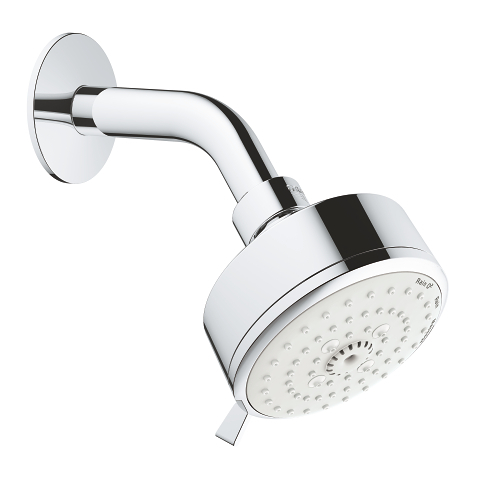 It’s packed with a lot of smart features. 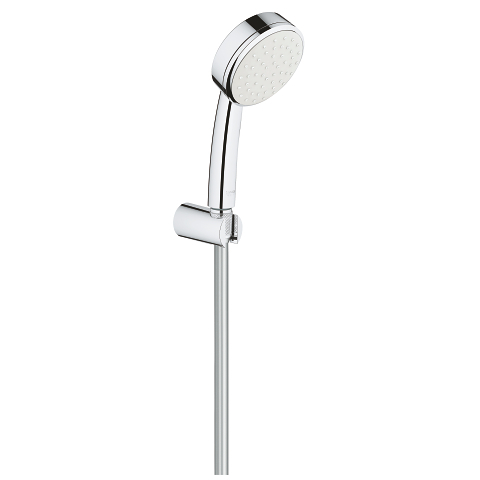 GROHE EcoJoy limits water flow to 9.5 l/m, which saves water without compromising performance – good for the environment, and for your wallet. 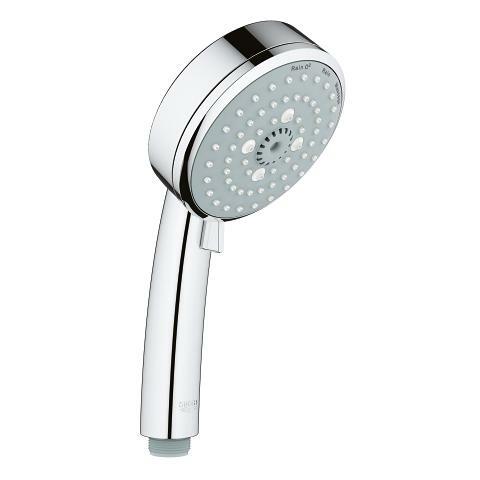 The hand shower comes with three spray options so you can tailor it to your mood: the light-as-air GROHE Rain O² Spray with added oxygen for a softer feel, the gentle summer shower feel of Rain Spray and the invigorating Massage Spray. 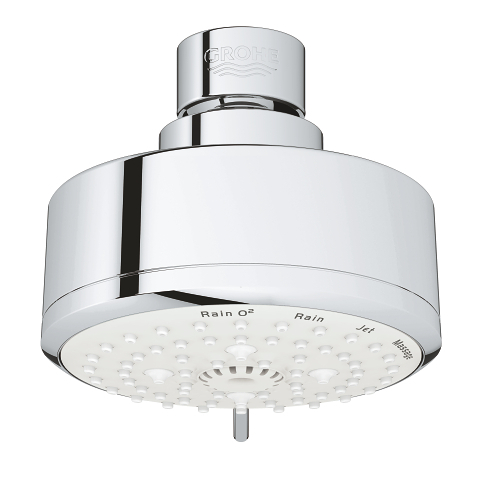 Plus our DreamSpray technology ensures that whichever spray pattern you select, the flow from each and every nozzle will be just right, making your shower as comfortable and enjoyable as can be. 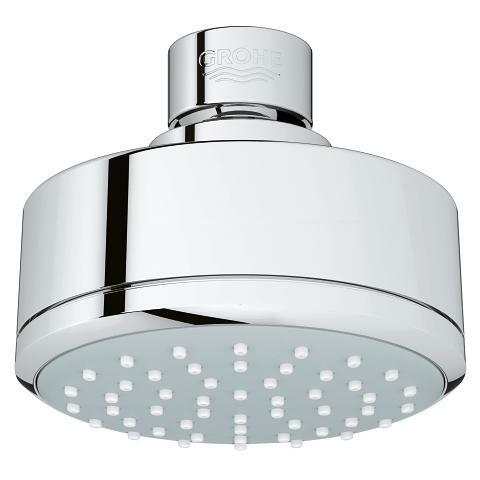 Its SpeedClean silicone nozzles are designed to brush free of limescale with a simple wipe, and the durable but dazzling GROHE StarLight chrome finish keeps the whole set looking stunning. 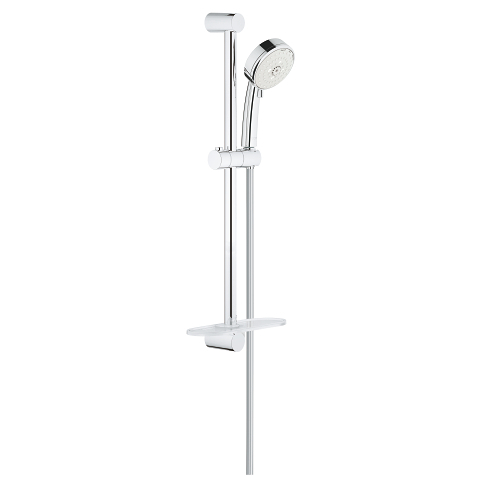 And an Inner WaterGuide prevents the surface of the hand shower from getting too hot, in order to protect both your sensitive skin and the lustrous chrome finish.